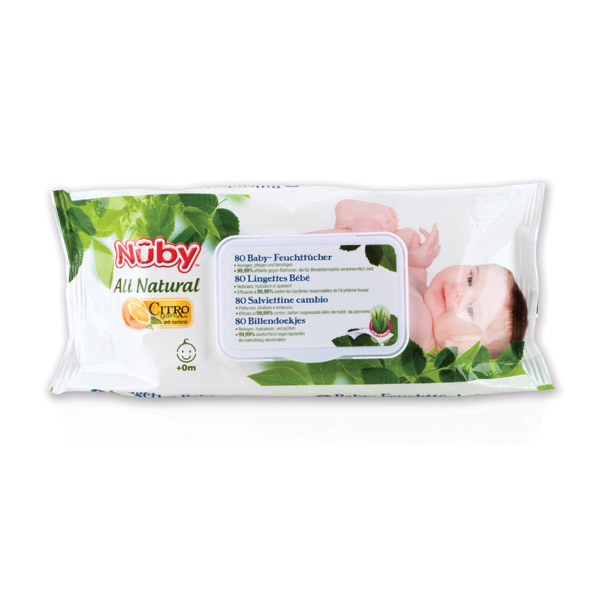 Nûby™ Citroganix™ Baby Wipes moisturise, soothe and help protect your baby against nappy rash. These wipes are made under dermatological control. They are soft to touch yet solid for use. With the addition of Citroganix™, their All Natural formula is 99,99% effective against the bacteria and yeast responsible for nappy rash.